Robin Sakamoto is Professor in the Faculty of Foreign Studies at Kyorin University in Tokyo, Japan. Her department was recently selected as one of 34 across the nation to receive funding for the Promotion of Global Human Resources by the Japanese government. She serves annually on the staff of the Japan Education Forum, which looks at multi-organizational collaboration in educational development and has worked in development assistance activities in Uganda and the Ukraine. She is currently engaged in a research project examining innovation in education in the Philippines. A former editor of the Journal of Intercultural Communication, she is now on the editorial board of AIEA. 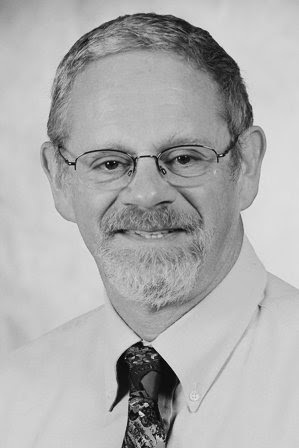 David W. Chapman is Distinguished International Professor and Birkmaier Professor of Educational Leadership in the Department of Organizational Leadership, Policy and Development at the University of Minnesota. His specialization is international development assistance. He has worked on development assistance activities in over 50 countries, assisting national governments and international organizations in the areas of educational policy and planning, program design and evaluation. His research has examined, among other things, cross-border collaborations in higher education, the role of higher education in national development, the role of information (and information systems) in policy formulation, and corruption in education. Q. Rahul–One of the goals of the book is “to provide a critical look at the models being employed, the challenges encountered, and the unintended consequences of such [cross-border] collaboration, both positive and negative.” What do you think one positive and one negative unintended consequence of growth in cross-border partnership? A. Robin–As we look at cross-border collaboration, one of the most positive consequences of their growth is the freedom to expand beyond an exchange program format. Partnerships today can truly be innovative an the duration of the partnerships can be quite flexible. In our first chapter, we present a model of factors to be considered when establishing a cross-border partnership that is not instruction based and careful consideration of these factors will hopefully lead to a successful creative collaboration. But herein we also find the negative consequence of partnership growth. This freedom to go beyond the structure of credits rewarded for a set number of classroom hours makes cross-border partnerships whatever the participants want them to be. The inherent complexity of this creativity results in projects that may require changes in institutional policies or legal systems, all of which are occurring across different cultures. Thus it is paramount to keep a long-term perspective with constant monitoring and evaluation to reduce this complexity. Despite the challenges, successful creative partnerships are indeed propelling our institutions of higher learning to evolve and serve an ever more important role in contributing to the formation of social policy. Q. Rahul–Please share how the increasing sophistication and cost-efficiency of technology-enabled learning models is going impact the future of cross-border partnerships in higher education? A. David–With the expansion of online and web-based instruction, borders make less difference. A substantial number of colleges and universities in nearly every country is experimenting with putting more of their courses online, often with the intention of attracting a wider circle of students and, consequently, tuition revenue. Students in Cambodia can take courses offered by the University of Minnesota, the University of Sydney, or Oxford. Some open universities in Asia already enroll well over 100,000 students each. At the same time, online courses also pose challenges. It is sometimes hard for students to evaluate the legitimacy and quality of the foreign institutions offering online courses and programs. Governments prone to wanting to control the flow of ideas within their borders have greater trouble doing so. And, while online courses mean more choice and greater convenience for students, they have sometimes posed a headache for conventional universities as those universities have been forced to rethink their business model. Larger numbers of students choose online courses without committing to full degree programs. The introduction of massive open online courses (MOOCs) has some universities offering courses for free, only charging students if they want college credit for the class. Then, too, university administrators worry that online students may not develop the same sense of institutional identification and loyalty that will lead them to be donors to their universities after graduation. Online instruction is shaking up the way universities around the world do business. Since the area of higher education is highly sensitive, we need such wonderful veterans to take care of it out there. Congrats, and thanks for making me know those intellects.